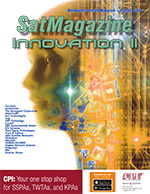 Home >> October 2018 Edition >> Uplink: Innovation — ETL Systems: What is DWDM? Why is it important? 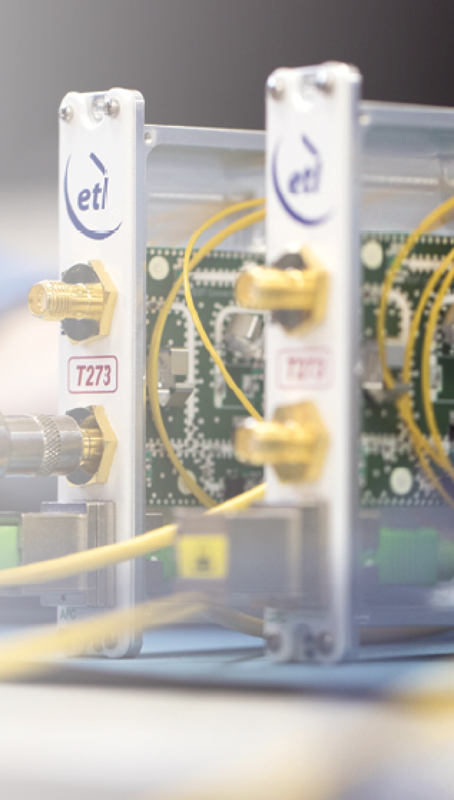 Uplink: Innovation — ETL Systems: What is DWDM? Why is it important? When RF signals are sent from a satellite dish over fiber to the control center, how this is accomplished depends on a number of factors, such as the distance the signals need to travel, the number of fibers available and whether that fiber is owned or rented as well as how many channels are accessible. By far the simplest way to accomplish this is to have a separate fiber for each feed. In 90 percent of cases, just a few feeds coming off the antenna and going across a short unimpeded distance of around 500 meters is the focus. In these cases, simple works well. However, what is being seeing now are SATCOMs operators wanting to carry signals from dishes over longer distances. The rising use of High Throughput Satellite (HTS) and Ka-band is one of the biggest drivers for DWDM technology. That is because operators are often deploying diverse sites to combat potential rain fade, which can cause severe loss of signal in extreme weather conditions. The distance of diverse sites away from the main site depends on the location. In some places, weather is so localized that 40 kilometers may be enough. In most scenarios, more likely the distance being talked about is between 70 to 100 kilometers to be in a different weather pattern. The signals need to get to both the main and backup antennas in the same condition — DWDM is currently the only way to ensure that such occurs. What is the Difference between DWDM and CWDM? There is often a fair bit of confusion between Coarse Wavelength Division Multiplexing (CWDM) and DWDM — both technologies are about being able to send multiple optical signals over single fibers. CWDM combines as many as eight optical signals on a single fiber by using different wavelengths (at 20 nanometers apart) for each signal. Wavelengths are combined in a CWDM multiplexer and separated at the other end in a CWDM demultiplexer. DWDM combines multiple optical signals on a single fiber by using different wavelengths. These are combined and separated using DWDM multiplexers and demultiplexers in the same way as CWDM. However, DWDM transmitters use a different laser technology, each creating a far more narrow spectrum of light, allowing for a far higher number of wavelengths to be combined into a narrow optical bandwidth. This means that they can be combined at spacings of less than 1 nanometer. The problem arises when a longer distance is required. This naturally causes more optical loss in the fiber and means the need for an optical amplifier to boost that signal. This is most commonly done using an Erbium-Doped Fiber Amplifier (EDFA). The distance at which this becomes necessary depends on certain other factors, such as the quality of the equipment and the fiber itself. Typically, if the distance exceeds 70 kilometers, an EDFA is likely going to be needed; however, depending on the application, that may also be required at a shorter distance, as well. As soon as an EDFA is used, CWDM becomes unfeasible. That is because EDFAs are inherently narrow band — in order to amplify multiple wavelengths, a much finer optical signal can only achieved with DWDM. DWDM is an exciting technology and one that is becoming increasingly important in the satellite industry. However, DWDM is not without challenges, the biggest of which is that of dark fiber; fiber that is rented, usually from a telecoms operator. Most long fiber transmission paths use dark fiber. That, of course, makes a lot of sense, even though the cost of rental is extremely high and the cost and effort of laying owned fiber is even higher and, generally, totally impractical. The cost of rental is another reason why DWDM is needed, as no company wants to rent more fibers than is absolutely necessary. Being able to send multiple signals on a single fiber is, therefore, quite attractive. While the financial savings are appealing, the satellite industry also recognizes the associated challenges with dark fiber, the first issue being the condition of the fiber is not identified and, secondly, many telecom operators do not understand the requirements for RF signal transmission. This can be very difficult, especially in certain areas of the world, to make it clear that RF signals need to use a certain type of fiber, as well as needing to be sent on a dedicated fiber and not shared with other data communications. If that necessity is not adhered to, it can be detrimental to the signal, the very element to be protected. What is needed is to educate companies about the importance of adhering to these requirements for RF signals; however, that will require a concerted industry-wide effort and time. In spite of that challenge, DWDM is an excellent opportunity for those long-distance signals. Dark fiber can have a variety of challenges; however, in many areas, a problem isn’t caused, and many telecom operators are perfectly able to adhere to stringent RF requirements. Ultimately, DWDM means that RF signals can be sent over long distances without massive signal losses, thereby maintaining that all important feed quality. Of course, if the antenna and control center are just across a small field and there are only a couple of feeds, a normal RF over fiber link should be used. If distances are being crossed between 2 and 50 km., use CWDM. However, if you signals need to be carried over 50 km., DWDM is an extremely viable, even vital, technology. Steve Fendley is an International Sales Manager at ETL Systems. Steve has over 25 years’ experience in sales, as well as technical expertise in RF and microwave components and systems and fiber optic system design. 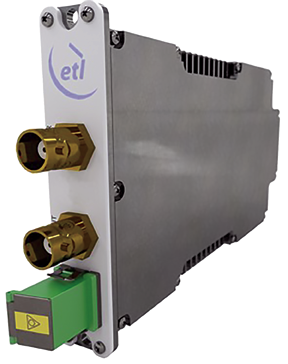 ETL Systems designs and manufactures RF satellite signal handling equipment and is one of the largest of its kind in the UK.